It has taken me a while, but I am finally able to formally accept the nomination for the Liebster Award 2018. 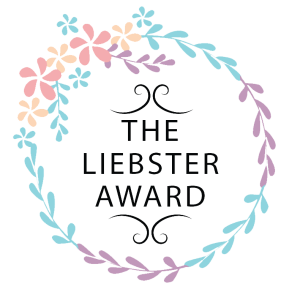 The Liebster Award is a recognition of bloggers by bloggers for bloggers. And I would like to thank Simon Stones for nominating me for this award. Click here for the full details on the rules for The Liebster Award, but basically accepting the award means that you thank your nominator, answer the questions given to you and you create questions for your own nominees. If you had the power to change one thing in the world right now, what would it be? This is a difficult question, but I would say I would make everyone have more empathy. So much injustice and unfairness exists because humans are self-centred and focussed on their own needs and wants. If we were more empathetic, we would also become more tolerant and accepting of differences. What motivates you to do what you do each day? Whatever I do on a daily basis, I do in the hope of making small changes. I am not always able to make huge changes. But through leading by example at home, in the public and at work, I hope that little ideas rub off on other people. If you could give one piece of advice to somebody starting out blogging, what would it be? Blog what you are passionate about, but also be aware of the image you create and the message you send out. The blog is in the public domain and will not disappear. When you get approached for collaborations, make sure you are happy with the messages that are being sent. Again, thank you, Simon for the nomination!